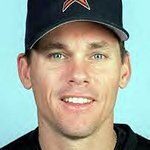 Craig Biggio is a former seven-time All-Star Major League baseball player who played his entire 20-year career with the Houston Astros. He has been a supporter and lead spokesperson for the Sunshine Kids Foundation – a children’s cancer charity – for over a decade. Google trends for "Craig Biggio"
We don't have any videos related to Craig Biggio.